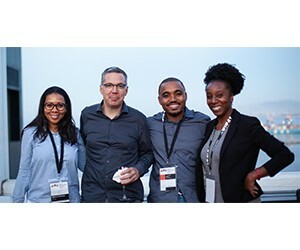 Cape Town welcomed over 300 active and aspiring investors representing Africa’s early stage investing ecosystem for last week’s two-day Africa Early Stage Investor Summit organized by VC4A www.VC4A.com and ABAN https://ABANAngels.org/. Celebrating its fifth year, the summit attracted the highest ever number of early stage African investors from 35 different countries, and more specifically 25 African nations representing 110+ investor organizations to share expertise, experiences, and fostering collaborations to bolster the ecosystem of capital provision for African entrepreneurs. Silicon Valley will not be replicated in Africa. Though there are lessons to be learned from the Valley, African VC faces unique constraints in scale, capital and exit opportunities. Rather than spend time ‘unicorn hunting,’ investors should push founders to build profitable, sustainable, and locally-adapted businesses. Collaboration is required to build a thriving industry. Investors must be activists in attracting more capital and resources into African markets, especially from larger corporates, growth equity investors and development finance institutions (DFIs). More collaboration is needed in designing instruments and financing structures tailored to African ventures. Human capital and diverse teams will be a key to success. In the coming decade, Africa will hold the majority of the global youth population, bringing a wealth of opportunity and innovation. Yet accessing strong talent and building diverse teams remains a stark challenge for most ventures. Investors want to see more female and locally-led organizations with thoughtful human capital strategies. One key announcement at the Summit came from Nikunj Jinsi from IFC Venture Capital: the World Bank Group has launched L’Afrique Excelle https://Afrique-Excelle.com, a post seed stage acceleration program and showcase of the best startups from Francophone Africa. The program, following the first XL Africa cohort, will target and select high growth business in order to provide much needed support to the region’s nascent ecosystem. “With the conversations around the current lack of resources availed to Francophone Africa, and the importance of public-private partnerships, having frequently surfaced in the Summit sessions, this news was highly welcomed and appreciated by all in attendance,” says White. While still in the early days, angel investors are experimenting across the continent and seeking ways to professionalize within their home markets. ABAN president Tomi Davies presented "Finding Product/Market Fit: The State of Angel Investing in Africa" https://ABANAngels.org/research/ - a first ever scoping study by ABAN in partnership with infoDev / The World Bank Group on angel investing in Africa. The ABAN network has grown from 5 to 80 active networks and it is important to now have research that captures this emerging investor segment. “It was the largest and most successful summit we have run with over 60 speakers participating in 7 panels, 4 investor masterclasses, 3 keynotes, 2 roundtables and 1 fireside chat. It’s amazing to see this industry rise in Africa. The passion and commitment shown by speakers and participants alike to partner with entrepreneurs to unlock the continent’s opportunities demonstrates how much there is to still achieve and I have no doubt that this ecosystem will prosper”, concludes White.